Wash and cut okra into 3/4 th inch pieces. Heat oil in a wide pan and add mustard seeds. 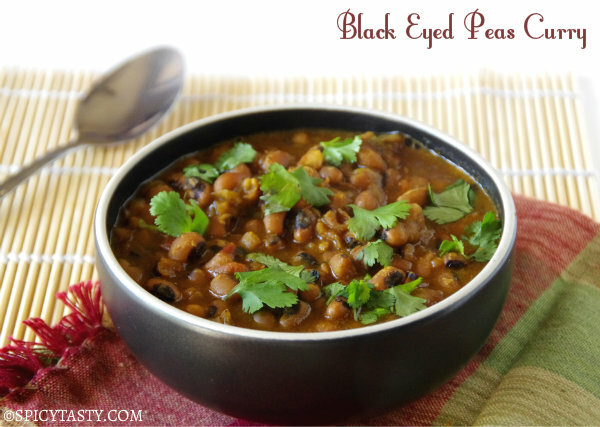 Once they splutter, add peanuts and let it fry for a minute and then add urad dal followed by channa dal. When the lentils become golden brown, add okra and salt. Mix well, cover and cook for 6 minutes at medium heat or less than that. Open the lid, give it a stir and add curry powder or sambar powder, chili powder and cumin powder. Mix well, sprinkle some water, cover and cook for 6 minutes. Remove the lid, give it a stir. Repeat the same process till okra is completely cooked and crisp. Don’t let it over cook and get mashed. 🙂 Serve along with white rice and rasam/sambar/yougurt. 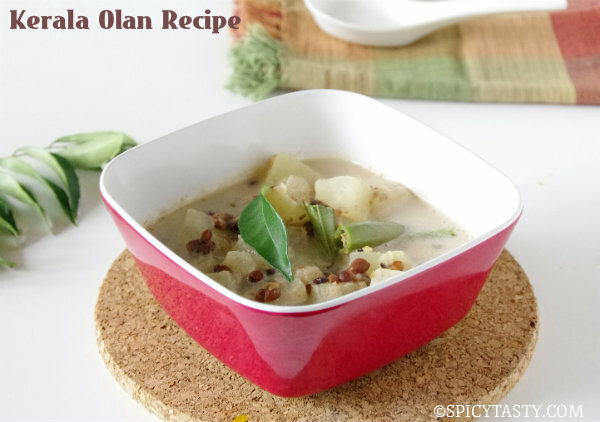 Perfect side dish with dal chawal or curd rice. 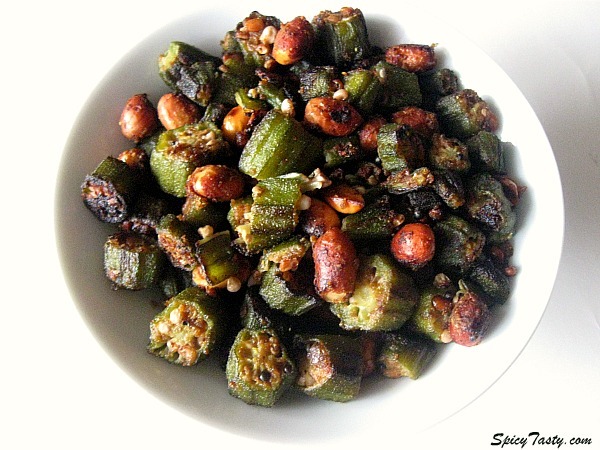 Okra/bhindi is one of my favorite veggie..infact I just had this for my dinner tonight..your recipe sounds different to me..love those peanuts in it..looks tasty! the okra fry looks awesome… very nice presentation.. Adding of peanuts must have given lots of flavour to the dish..loved it. Adding peanuts looks fabulous..love this combo..
Okra is very well roasted and looks great. The peanuts will give an add on taste to this dish. The okra stir-fry looks fabulous! Peanut is a nice touch. Wow loved the very look of it.. lovely recipe as well, I just adore peanuts..YUM! Your okra looks wonderful! I like the peanuts in it too! It looks very delicious! Best with rice and chapathi! Yummy! That looks so good! I loove the fact that this dish contains peanuts. You have managed to make okra looks tasty! 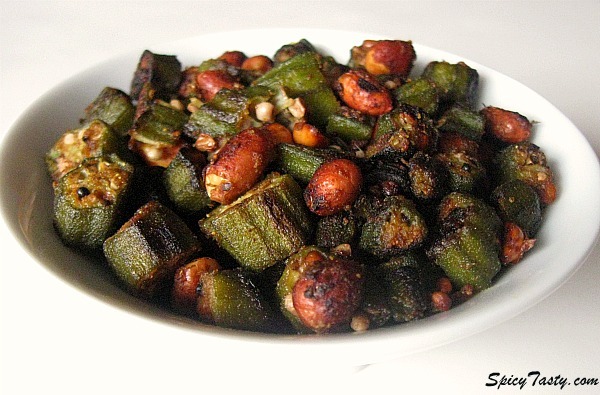 Thats a wonderful dish…I love okra very much..This is so inviting..